In 2009, Greg Baroni co-founded Attain, a leading management, technology and strategy consulting firm. His earlier experience includes various leadership roles with Unisys Corp., including corporate senior vice president of the company and president of its Federal Systems and Global Public Sector unit, as well as similar leadership roles at KPMG. 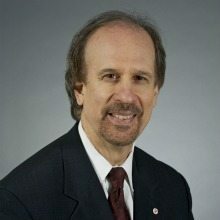 He is a board member and executive committee member of the Northern Virginia Technology Council and Professional Services Council, and board chair of The Women’s Center, among many other industry and philanthropic leadership roles. “It’s really more about Team Attain than myself,” Baroni said. Attain leaders emphasize talent retention and employee engagement — two issues Baroni said have become even more meaningful in an environment of government shutdowns, budget concerns and the continued march of mergers and acquisitions. Look for Attain to leverage the M&A market to its advantage in 2019 as well as continue its focus on “the human capital dimension” of the business as newly hired Chief People Officer Sara Bridwell leads efforts focused on talent acquisition, management and engagement, he said. Last year, Attain won Contractor of the Year in the $75 million-$300 million category at the Greater Washington Government Contracting Awards. This year, Baroni expects the biggest challenge in government contracting to be leading change.